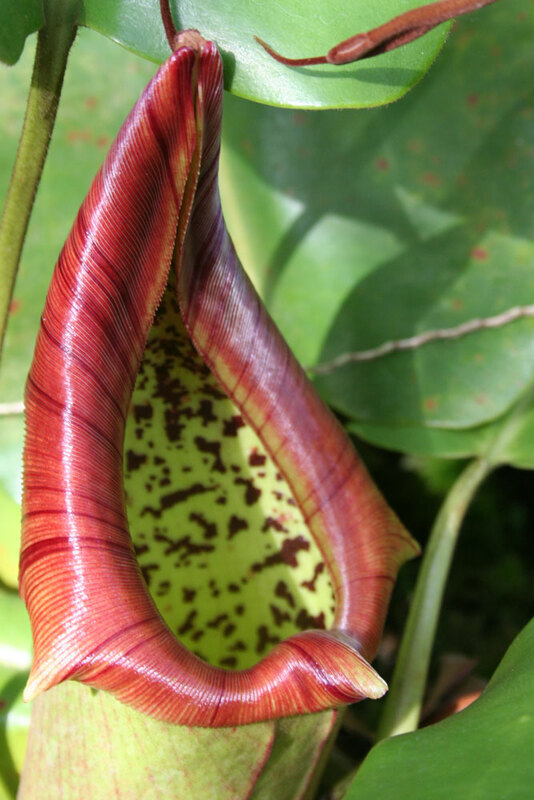 This was the most jaw dropping display of plants I've ever seen. When you enter the montane conservatory, you first notice the blast of cool and humid air, and then you see the plants. 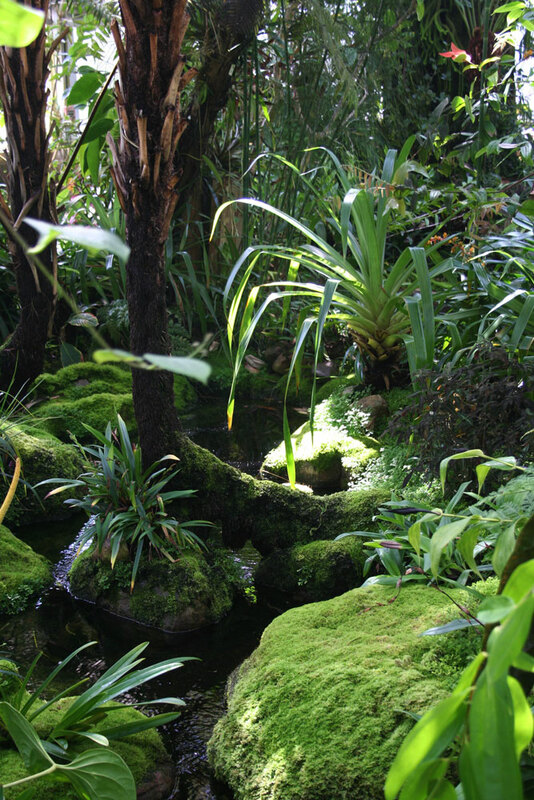 Plants, mosses, lycopodiums and any manner of green coating every available inch of exposed surface, draping from branches and dripping with moisture. 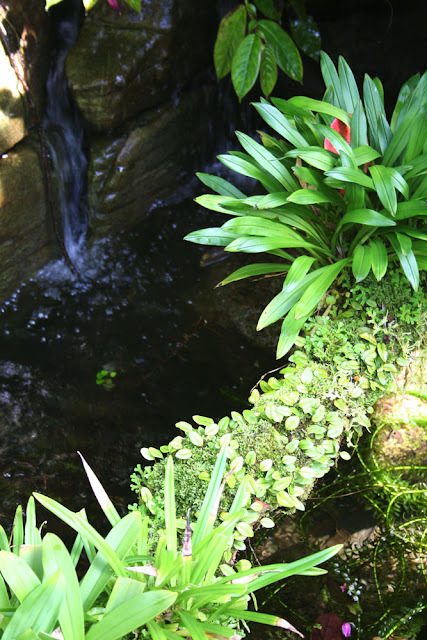 Branches were festooned with naturalized clumps of orchids and bromeliads, and the stones surrounding pools were coated in velvety moss. 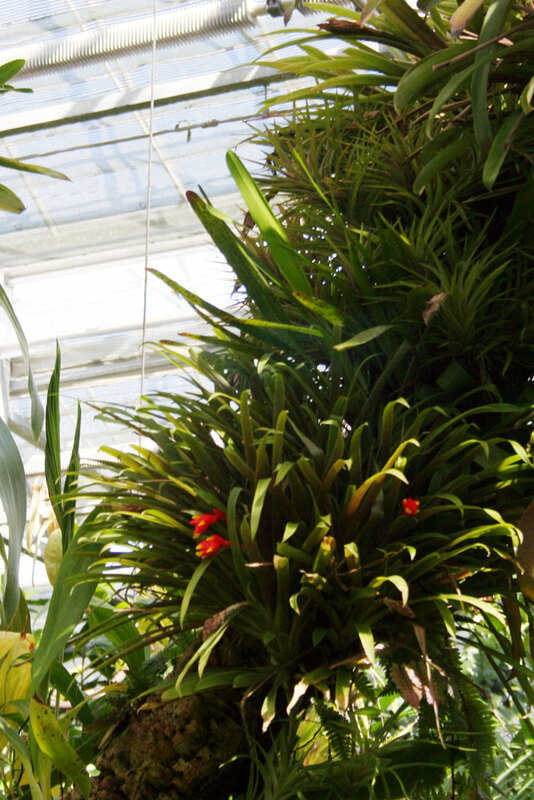 Located on the foothills of the Appalachians, Atlanta is the ideal place for plants native to higher elevations, and the Fuqua Orchid Center's High Elevation House has a state of the art air filtration system to keep even the most finicky orchids thriving. If you're interested in plants from the Tepuis region of Venezuela, (these mesa formations were the inspiration for The Lost World) then the Fuqua Orchid Center demands a visit. Here are some more shots from this "Lost World." An epiphyte encrusted log over a stream. 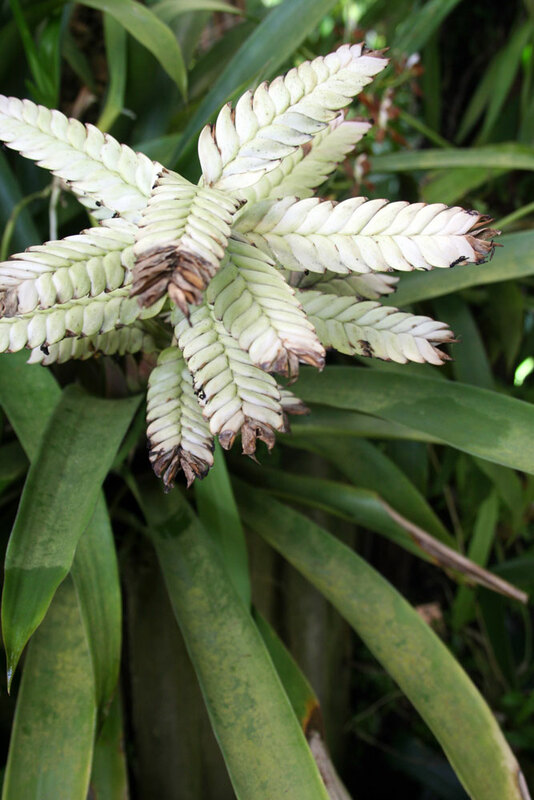 Who wants a bromeliad covered branch like this in their garden? I DO! 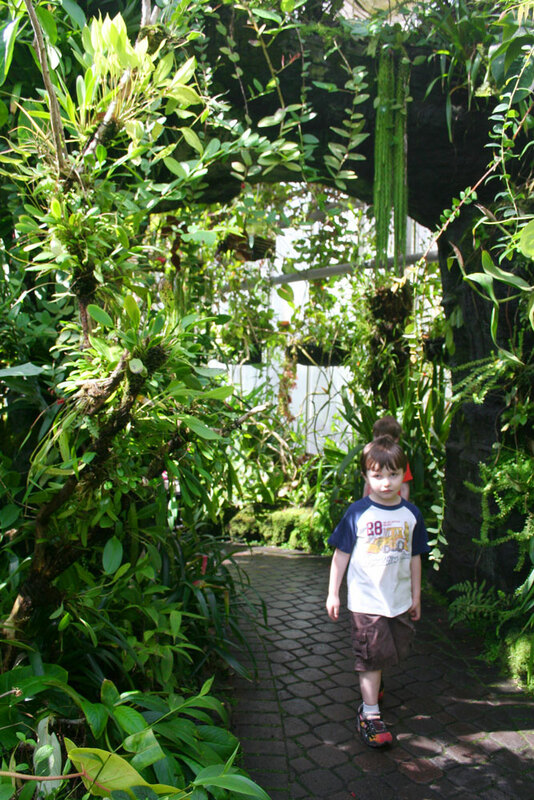 An epiphyte covered arch, with a kid thrown in for scale. Don't take naps on the moss! Vriesea... or Tillandsia? Sometimes the difference isn't so obvious. 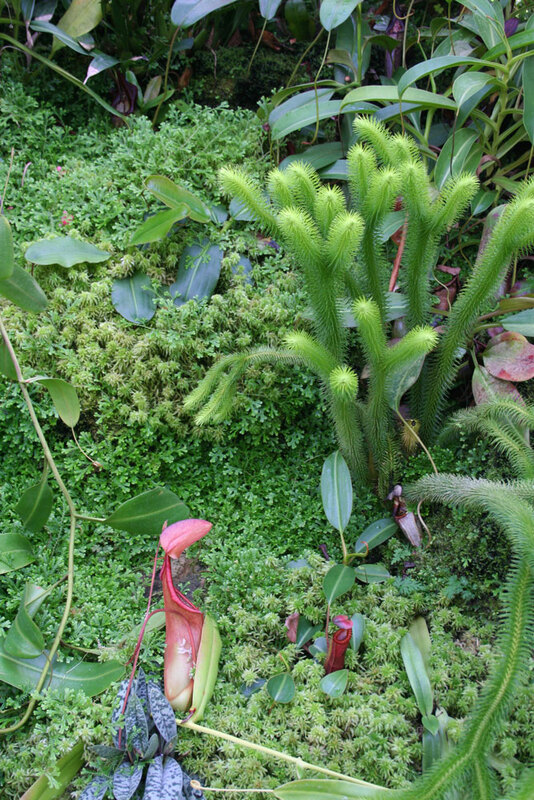 Lycopodium, mosses and nepenthes pitcher plant. A mossy patch of paradise. More heliamphora, along with ferns and bromeliads. That's it for today! 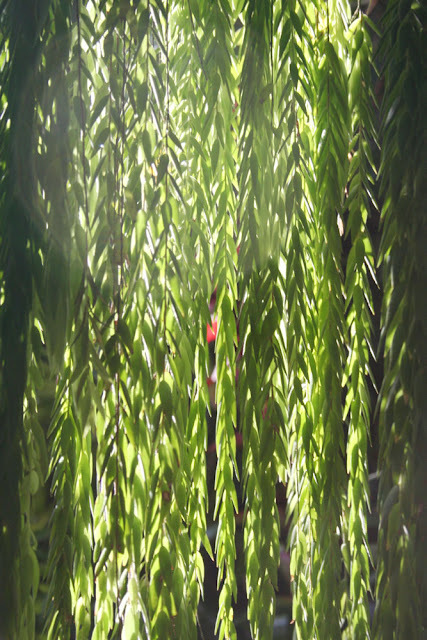 Check out my last post for my own balcony rainforest, and stay tuned to learn about some new offerings from Proven Winners. Very nice. Sounds like equatorial highlands are a whole other set of conditions. 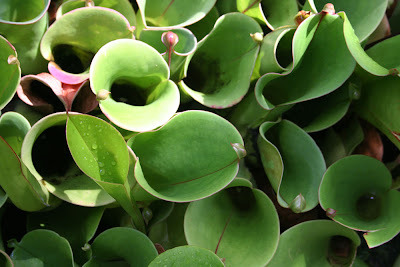 I wonder where such plants might grow outside in the US, other than way up the mountains in Hawaii? Oh I loved that hanging curtain of green with the sunlight shining through! This looks like it would have been a lovely peaceful place to hang out in. Gorgeous plants and photos Steve! 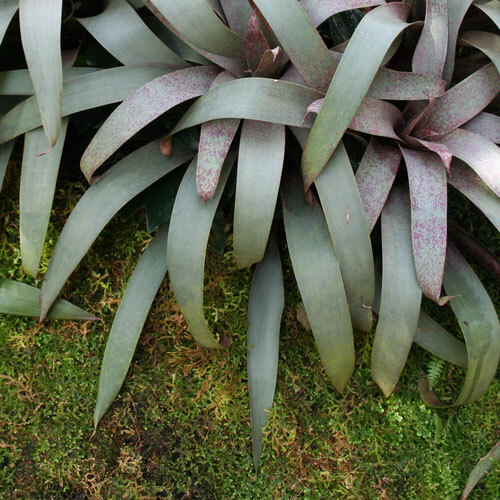 Just love those Bromeliads in the first photo especially. They've arranged the plants very well, looks so natural in its setting. 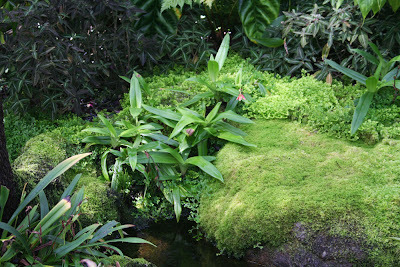 Love those mossy rocks and all those epiphyte covered logs. Such a great representation of the natural habitat for those plants. Thanks for posting this series! Wow! I think I could stay in there a whole day and never get tired. Could you imagine being the curator, closing the place, then getting it all to yourself for an hour? 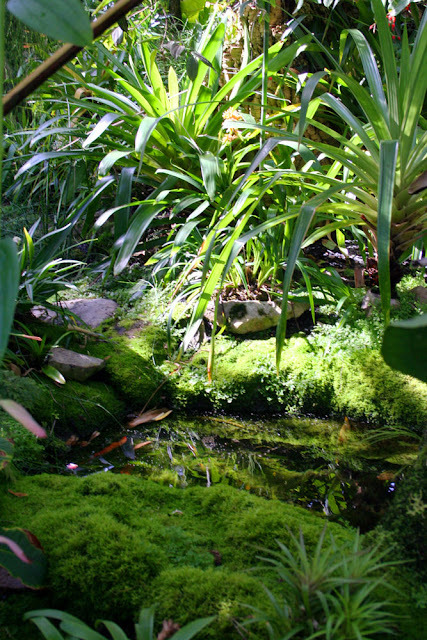 The "Don't take a nap on the moss" pond is my vision for the pond I have in my backyard. Now I have something to go by. It's my big project for the summer. That place is absolutely gorgeous! Great photos Steve! 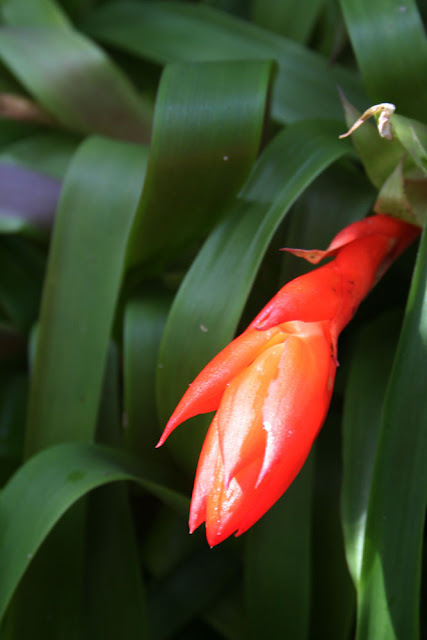 Can we each have that bromeliad covered branch? 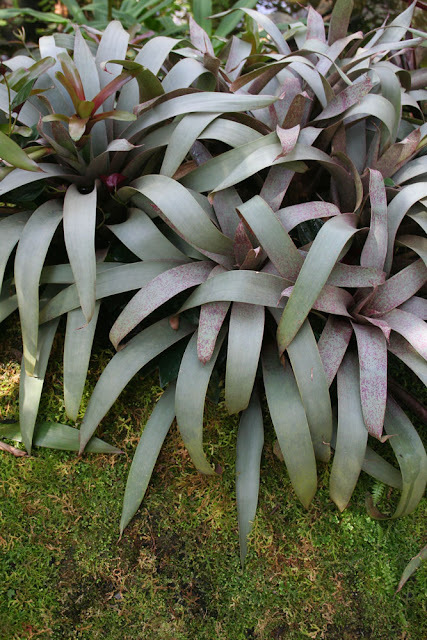 The plant in your first picture looks like an Alcantarea. I've been wanting to have one of my own. The 12th picture is, I think, a Tillandsia 'creation'. This is a cross between T. platyrachis and T. cyanea. 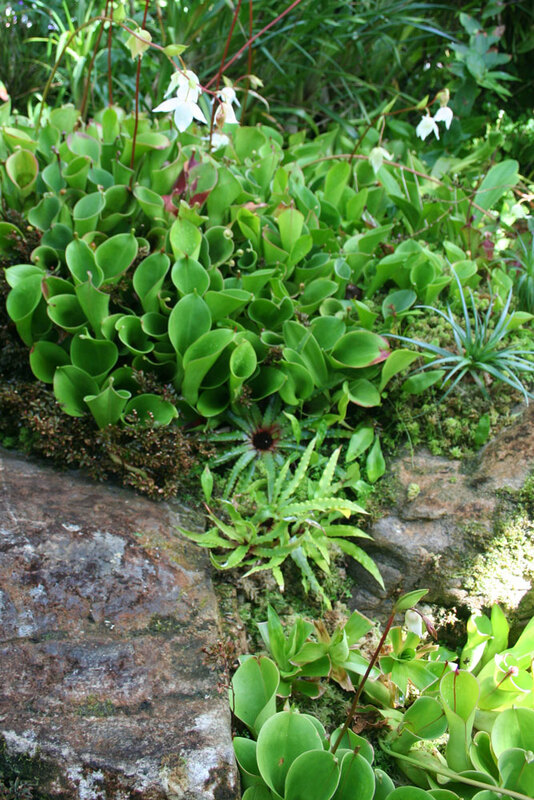 Your photo above captioned 'Lycopodium, I think' looks like Ceratostemma rauhii, actually in the blueberry family. 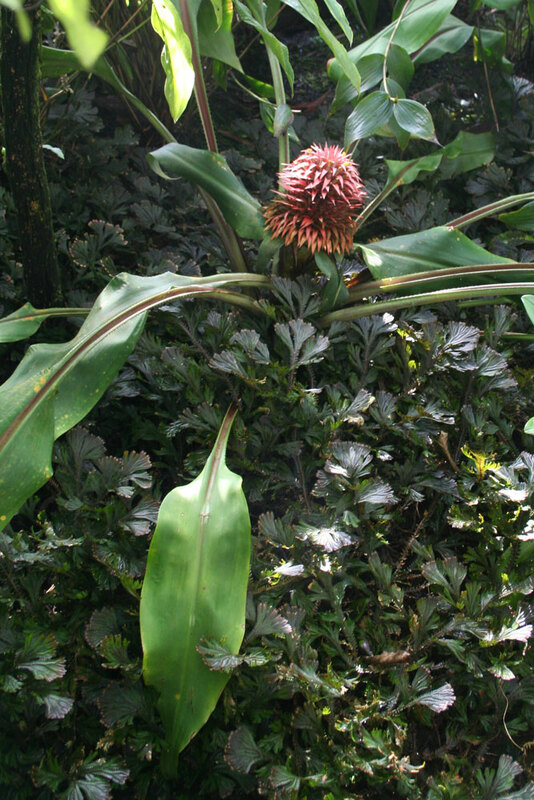 Endemic to highlands of Peru.